Our Prime Minister Stephen Harper was at the airport today to greet the giant pandas that are beginning their visit from China. He is taking some heat in the press, because, you know, he has other important stuff going on. But the pandas are an important diplomatic token these days, so it is beneficial to our relationship with China to treat them well. It is certainly better than selling China all our future oil production... oops, too late! Hopefully I'll be sewing again soon! 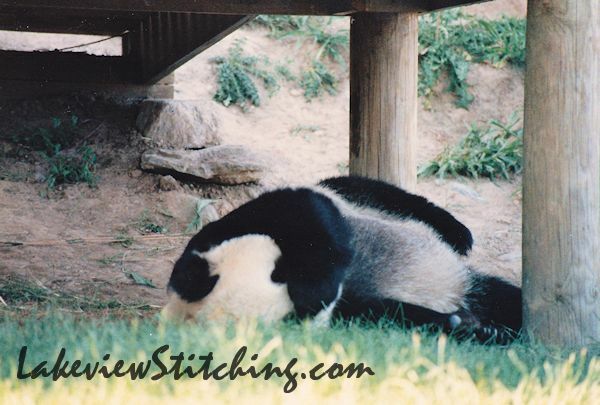 I saw giant pandas once years ago at the National Zoo in Washington, D.C. As I recall, not a lot went on with them either. Cute, though, even if they are large. what a beauty, we have a pair in Edinburgh Zoo, they have been watching to see if they will mate, unfortunately was away over the weekend and neither heard or saw any news so do not know if it happened! !They only have a very small time slot, it is either 2 hours or two days a year. We have Wang Wang and Funi in the Adelaide Zoo. They too failed to mate last year in the tiny window of opportunity. 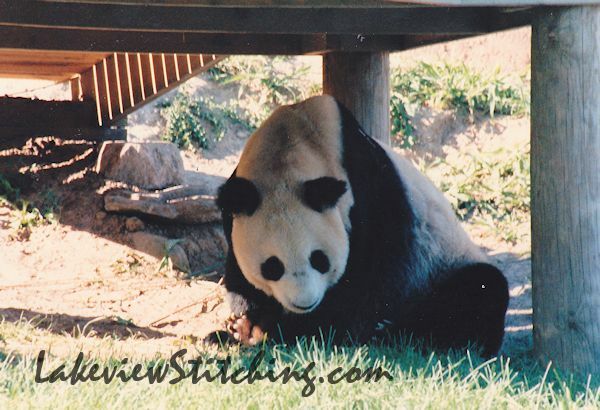 I admit I have not visited them but I also saw the ones in the Washington Zoo while there - pretty connected world we live in! 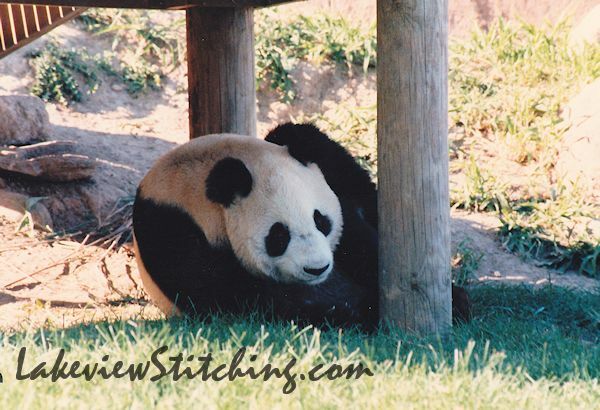 Hope you are enjoying Easter and will be sewing soon.